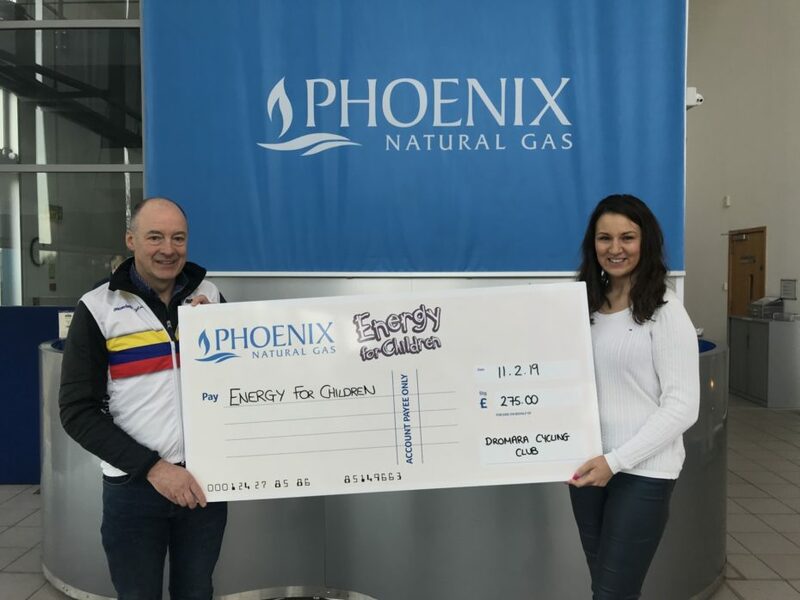 Dromara Cycling Club Chairman, Eddie Doyle presents a cheque for £275 to Geri Wright, Charity Liaison Officer for the Energy for Children Charitable Trust. The funds were raised from the club’s annual Slieve Croob Hill Climb Challenge which saw dozens of riders complete a gruelling time trial ascent of the mountain. This open hill climb competition offers entrants a chance to test themselves against one of the toughest road climbs in Ireland. The trophy was lifted by Darnell Moore with an impressive time of 13 minutes 55 seconds.